Ancient Thera is 150 metres from the famous black sand beach of Perissa in Santorini. 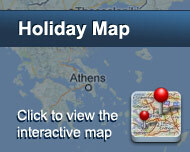 It features self-catered rooms with free Wi-Fi and a spacious balcony overlooking the Aegean Sea or the mountains. The soundproofed rooms are equipped with air conditioning and a TV. Each includes a well-equipped kitchenette with cooking hobs, electric kettle and a fridge. All rooms have a private bathroom with a hairdryer and amenities. The breakfast is served at the hotel's traditional restaurant, where you can also have lunch or dinner, enjoying homemade flavors. Guests are provided with a 24-hour front desk, where you can ask information about the area or rent a car/bike. Santorini Waterpark is 120 metres away from the hotel and there is also a diving school on the beach. 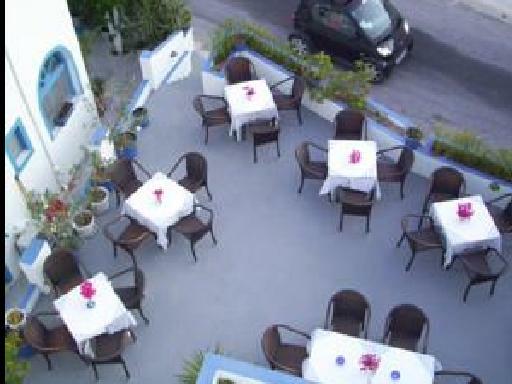 Hotel Ancient Thera is 14 km from Fira and 24 km from the village of Oia. Είστε ιδιοκτήτης ή διευθυντής στο ANCIENT THERA STUDIOS; Εγγραφείτε τώρα για δωρεάν εργαλεία, που μπορείτε να χρησιμοποιήσετε για να βελτιώσετε την καταχώρησή σας και να συνδέσετε την ιστοσελίδα σας και το σύστημα κρατήσεών σας.